Shocking the pool is one of the most important steps in keeping a swimming pool clean and clear and free of bacteria can contaminants. Since blast is a non chlorine pool chemical, you can shock the pool prior to people using the pool, instead of after. Making the pool clean and safe and ready to use almost right away. It is recommended that the pool gets shocked once a week, while continuing to maintain the correct levels of pH and alkalinity. Blast chlorine free shock is quick and effective and saves you time and money. No more jugs, no more high unsafe levels of chlorine, just perfectly clear water all summer long. Function: Weekly pool shock. 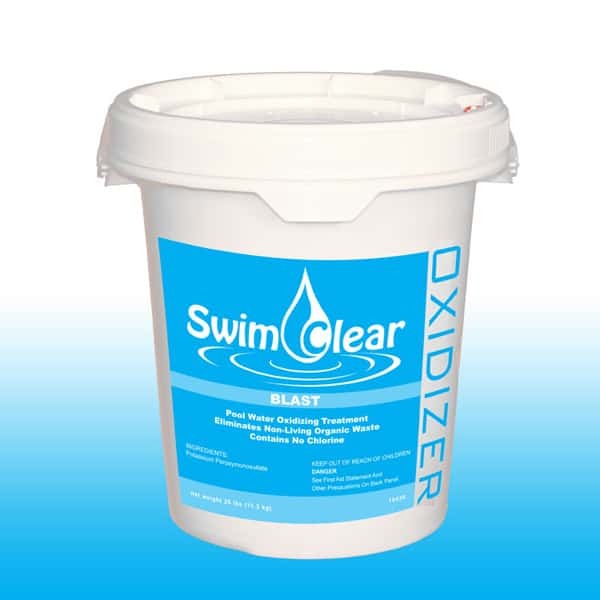 Pool Sanitizer / Oxidizing agent. Designed to dissolve quickly and reactivate dormant chlorine. Takes used up or dead chlorine and turns it back into good chlorine. Pool Supplies at a Discount - That's Family Leisure. Give us a call or stop by, we are always here to help with any of your pool maintenance needs.